The Yaesu FT-991A provides sophisticated operation on 160 to 6 meters plus coverage of 2 meters and 70 cm! The 60 meter band is supported. Here is a compact, lightweight package suitable for portable, mobile and base installations. 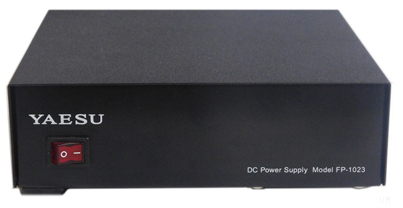 The built-in antenna tuner (for 160-6m) uses a LC switching network that features a 100 channel memory to reduce tuning time when changing frequency. The FT-991A comes standard with a ± 0.5 PPM high resolution DDS/PLL local oscillator to provide stability for demanding digital modes. Measuring 8.8"W x 3"H x 9.9"L at just 9.7 pounds this robust full featured mobile/portable radio is ready to go when and where you are! The menu mode allows you to tailor the operation of the radio to your preferences. The rear panel has two antenna inputs: HF/50 and 144/430. The FT-991A is supplied with the MH-31A8J hand mic, DC cord, 25 Amp spare fuse and manual. 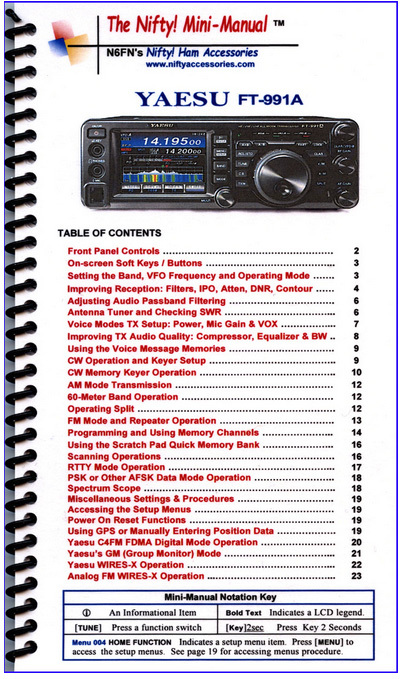 This model carries a Yaesu three year limited manufacturer's warranty. mini CD with RT-42 USB-A to USB-B cable.